In January 2016. I sent off an email to an acquaintance of mine, Saad Mohseni, one of three brothers who own Tolo-TV in Kabul, Afghanistan. Tolo is the most-watched television station in the country. It creates its own information and entertainment programs and has a vast dubbing operation to give Dari soundtracks to Western programs. It also has a large and aggressive newsroom. And in 2016, seven Tolo journalists were riding in a van when it was broadsided by a suicide driver in a car bomb. All seven were killed. At the time, I sent Saad, who manages the station for his brothers, a note expressing my deep condolences. I’ve done it twice since then. The latest was April 30, when journalists were again the target of terrorist bombers. The killers deliberately attacked the journalists and rescue workers by setting off a device during morning rush, and then as rescue workers and journalists congregated on the scene, detonated another. Eight journalists were killed immediately, and one died later of his injuries. In an unrelated attack, a reporter was shot to death in Kandahar the same day. 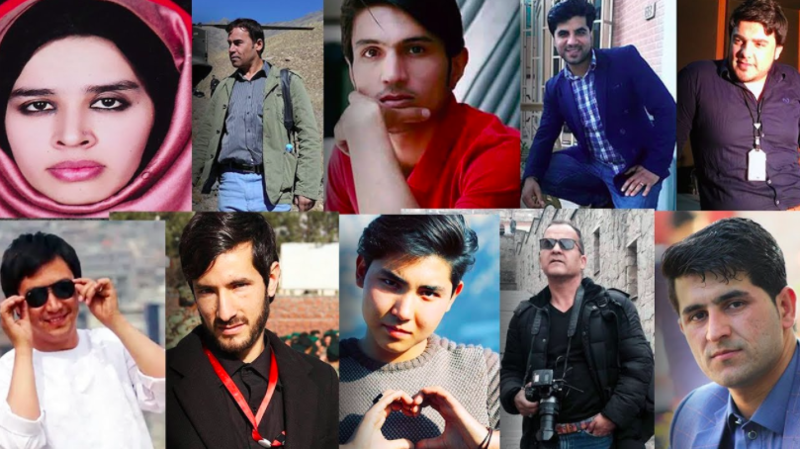 One of the reporters killed in Kabul was a Tolo reporter. Another was Shah Marai, chief photographer in Afghanistan for Agence France Presse. Afghanistan has a free press clause in its constitution, and the journalists and journalism teachers I know there say the government abides by it. There are multiple threats to the media in Afghanistan, but the government is not one of them. There is very little persecution or even harassment of journalists by the government. However, greater threats come from beyond the government. And no matter how legitimate the government is, it is nonetheless weak; Afghanistan is dominated more by warlords than by any orderly federal or local system of governance. In addition, the Taliban still control huge swatches of the country. Reuters reports about 43 percent of the country’s districts are either controlled by the Taliban or are being contested. The threats to journalists come from the Taliban presence and the warlords as well as other terrorist groups operating there. Physical threats, actual assaults and even assassinations have resulted from media stories about people who would prefer their names and their work be kept out of the media. In fact two of the watchdog groups that track press freedom around the world rate Afghanistan poorly. Reporters sans Frontier rates Afghanistan as 118th out of 180 countries and says the press is not free. Freedom House rates Afghanistan as partly-free, but right on the cusp of not free. If the threat is not from the government, then where? A look at last month’s attack is revealing. A branch of the Islamic State claimed responsibility. The Taliban have been known to exact revenge, as it did in the Tolo attack back in January 2016. Tolo had recently done a story critical of the Taliban’s techniques, and it paid with seven lives. There was a vice president under Hamid Karzai who journalists there knew to be quite hostile if his name ever appeared in the news. He had been known to send thugs to break the kneecaps of any reporter foolish enough to use his name in any context — good or bad. The other sad fact of Afghan media is the matter of money. There is simply not enough of it to support an independent press. Many media are owned by religious groups, political parties, and even warlords. Afghanistan’s literacy rate is less than 40 percent overall, making newspapers generally useless except among the more elite. Television is expensive to make, transmit and receive. That leaves radio, cheap and ubiquitous, to deliver the news, especially in rural areas. So although Afghanistan’s constitution guarantees a free press, the real challenge is putting that into practice. There is so much more that stands in the way of press freedom than a simple phrase. Censorship is not only a threat from government; it often comes in the form of outside threats, economic hardship, and the influence of ownership and money. Afghanistan is a petri dish of that statement. Anyone who places his or her own self-interests above those of the country hate and fear the light a free press shines on them. That includes oligarchs, dictators, monarchs, terrorists and warlords. Cockroaches hate light. The tendency among almost all political leaders is toward less information. Resisting encroachment on freedom of expression is a constant battle just about everywhere. Some countries are more successful than others. Afghan media are fighting that good fight even though the fight has been costly. But this one truth remains — a country cannot be truly free, cannot truly provide opportunities for all its people, and cannot guarantee free, open and informed elections — if the press is not free. And I fear that in six, or 12 or 18 months, I will be sending yet another note to Saad Mohseni once again expressing my condolences.